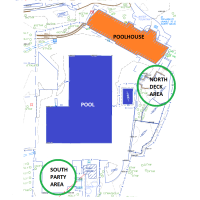 Picnic tables may be reserved on the North Deck area & South Party area (next to the pump house near East Wesley) for private functions. The Garden Hills Play Field is a City of Atlanta public park maintained by the Garden Hills Pool and Park Association. The field can be reserved for special events. 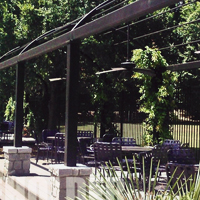 The Garden Hills Recreation Center is perfect for all types of functions. 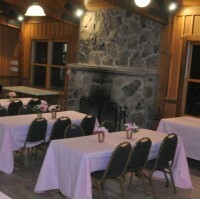 From meetings to wedding receptions, it is sure to meet your rental needs. The 300 sq. ft. conference room in the Dan Martin Pool House is available to rent the entire year.